This watch is going to make a lot of people very happy. 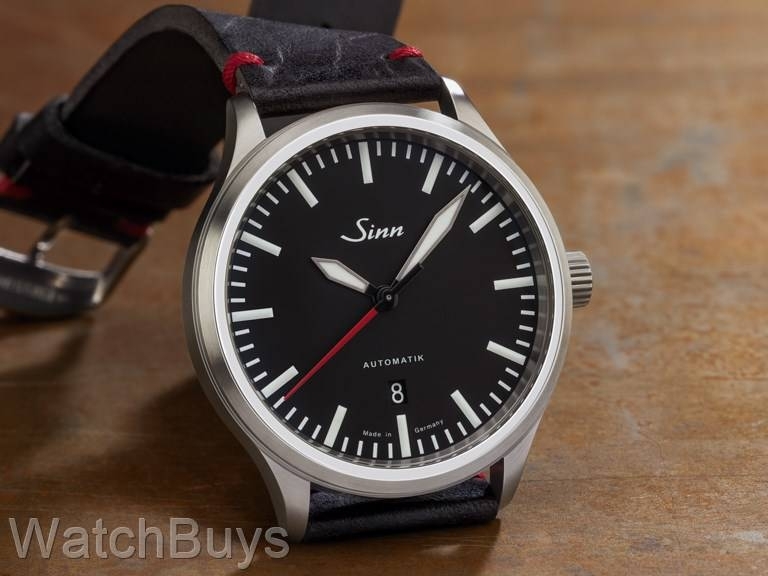 We have received many requests over the years for Sinn to design and manufacture a new case size for their three handed watches, and this 43 mm case meets that demand. 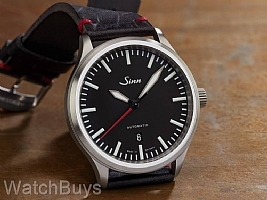 Sinn has also mixed things up a bit by removing the crown guard featured on most Sinn cases, so this watch actually has a contemporary feel. To keep things interesting, the seconds hand is in red, providing stark contrast to the hour and minute hands. Many of these design elements are also featured in the Sinn 936 Bi-Compax chronograph, also a new release this year. This watch is fitted with a black Sinn calf leather strap with tang buckle and red stitching at the lugs.